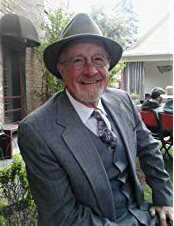 Ed Lehner, a former student in our course Be a Writer Now, has just published his second book, The Awakening of Russell Henderson. We asked him to talk about his writing process and share some advice for aspiring authors. Q: Could you talk about writing your latest book? What did you enjoy about the writing process? The Awakening of Russell Henderson was inspired by Zen and the Art of Motorcycle Maintenance by Robert Pirsig, which I have read several times over the years. I have traveled the West extensively back in the 80's and 90's, been on the roads, shared the experiences, and have visited all these places I wrote about, including the sweat lodge which was indeed profound each of the several times I was invited and privileged to attend one. So thus came the road trip aspect. I am also a musician and a Buddhist so that all seemed it should be part of the journey. However, the characters are all from my imagination, albeit, some are composites of some folks I have known over the years. Personally, I simply enjoy the adventure I am on with my characters. I know some authors do outlines ahead of time, but my style is simply writing it all down as it comes to me, which probably stems from Julia Cameron’s The Artist's Way, which I worked through myself many years ago and subsequently taught seminars on to my graphic design students. When I feel I am at the end, I go back through the manuscript several times, editing, working on dialogue, pacing, adding to and taking away, maybe changing the sequence of some areas. I have a few dedicated friends I then give the manuscript to for them to read it and give feedback. If I were ever to write a mystery, I believe an outline would be beneficial to set up and resolve the plot. Once my characters begin to take shape, they sort of take on a life of their own and, as weird as it may seem, I simply let them tell me their story. I go to sleep every night considering where they might take me the next day, what new twist they might unveil. The next day, while I am doing other things, I think about it and then, finally, I’m ready to write it all down. Q: What tricks or strategies do you use to stay motivated and productive? I like to write in the afternoon, unlike Hemingway who was up at 6:00 every morning to write the first one good sentence. I am active and am a bike rider and a yoga practitioner plus I like to hike our mountains. Also I have a morning meditation practice. My early mornings are spent with all that. I am also a luthier who repairs stringed instruments which I work on every day for a few hours. Then about 2:00 or so I sit and write ferociously for two or three hours. The Awakening of... took me about three months for the first draft. What do you consider the best part of being an author? It’s fun to create these interesting characters and give them a story. For me, writing is not work, but total fun. When I finished both of my novels, I had separation anxiety, still going on with what my characters might do next. I guess I have must an overactive imagination. If you haven’t been trained as a writer, like me (I almost failed high school English), do some on-line courses such as Nancy’s, which were a great help in giving some direction to writing prose as well as poetry. Read writer’s magazines. Check out the Alliance for Independent Authors. There is a plethora of information there. Above all, have fun. Just write it down without any judgement. That can come later. Don’t second-guess yourself, simply get the words down, edit later. Develop your own style. I’ve always been a voracious reader and at first, I tried to borrow from some authors I’ve liked, but when it came down to it, I just wrote, but I know all those writers were a definite inspiration. Don’t worry about where your story is going, just trust yourself and get the words down some way, in my case, in the computer. For writing advice sent straight to your inbox, join our email group. Browse articles on how to write a novel .